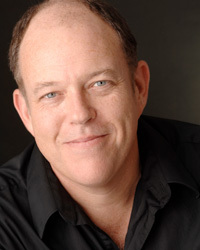 As an actor, Richard has over 30 years experience on stage and screen. Local appearances includes Harry Brock in Born Yesterday, Theo Maske in The Underpants, Uncle Roman in Polish Joke, George Tenet in Stuff Happens, Dr. Block in Mitzi's Abortion, and Arturo in Grand Magic (ACT Theatre), Falstaff in Henry IV and Buckingham/Clarence in Richard III (SSC), Chasuble in The Importance of Being Earnest (Village Theatre), and Coach Don in Rounding Third (Intiman). Richard created the role of Schulz in the world premier of Tenessee Williams' Not About Nightingales for the Royal National Theatre of Great Britain (Trevor Nunn, Dir,) Other Broadway: Epic Proportions, Laughter on the 23rd Floor, Lost in Yonkers, and Henry IV . NYSF: Twelfth Night, 2 Gents, Julius Ceasar, Kit Marlowe, and The Normal Heart. Off B'way: MTC, Roundabout, Longwharf, Shakespeare Theater DC and Shakespeare Festival LA,(Dramalogue Award) TV: The Sopranos, Third Watch, Law&Order, 100 Center St. Film: Clockers , Hackers, Private Parts, The Chosen, and Unholy. Directing work includes the premier of Greensward by R. Hamiton Wright for Circus Theatricals at the Hayworth Theatre in L.A. Recent directing work in the Seattle area incudes directing for 14/48 The World's Quickest Theatre Festival, and staging the premier reading of Kingdom of Dust for the Icicle Creek Theatre Festival at ACT. Off Broadway, he directed the world premier of Eric Blau's musical Dali, as well as the NY debut of Blau's A Rag On a Stick- And a Star and The Grass Eats the Horse. Off Off B'way and regional directing credits include: Three Sisters; Gravity Shoes; The Trojan Women; the musical Just East of Broadway, for which he also wrote the book; and for Houston's Stages Theatre, A.R. Gurney's The Cocktail Hour. Richard is a native New Yorker and a graduate of The Juilliard School.